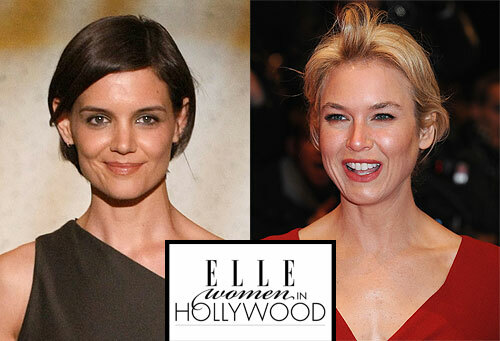 Actresses Emily Blunt, Katie Holmes, Julianne Moore, Robin Wright Penn and Renée Zellweger are among the actresses to be honored at Elle magazine's Women in Hollywood event. The event will pay tribute to women's achievement in the film industry. Rising star Zoe Saldana will receive the Calvin Klein Spotlight Award, and Julie Andrews will receive the L'Oreal Paris Legend Award. The 16th Annual Women in Hollywood Tribute will be hosted by actor Alec Baldwin at the Four Seasons Beverly Hills Hotel on October 19.